Need to install Windows 10 on a machine, but need to put the Windows 10 ISO on a USB stick on nothing but a Linux box? Sure! 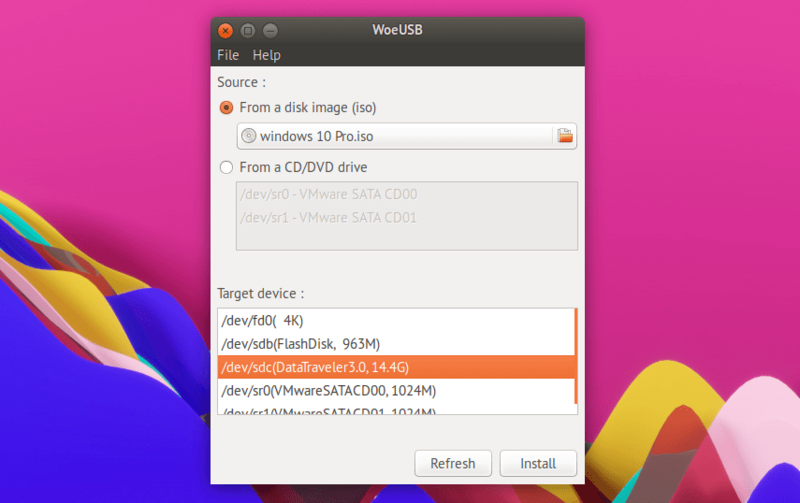 During the recording of the Ubuntu Podcast, Ubuntu MATE’s Martin Wimpress mentioned a tool he used to create a bootable Windows 10 USB on Ubuntu. 4 easy steps to create latest version Windows Operating System’s Bootable Flash Drive in Linux Operating System.